How many more seasons are in store for The Big Bang Theory? According to The Hollywood Reporter, CBS is in talks to renew the TV show for a 13th season. The popular sitcom debuts its 12th season on CBS on September 24th at 8 p.m. ET/PT. 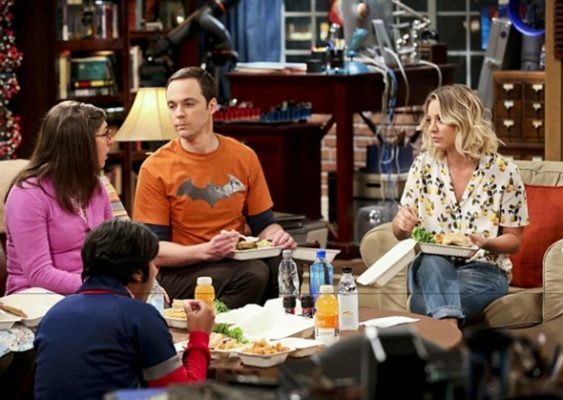 The cast includes Johnny Galecki, Jim Parsons, Mayim Bialik, Simon Helberg, Melissa Rauch, Kunal Nayyar, and Kaley Cuoco. What do you think? Do you watch The Big Bang Theory? How many more seasons do you want? Please don’t go, please! My son, age 45, is university prof and lawyer. Although he has good social skills he does identify with Sheldon Cooper, he does identify with Sheldon on a molecular level. This will kill him!! Life goes on for everyone. Why not for this group? There is no reason to end this show. Life goes on for everyone, why not this group? Love Big Bang. Would love to see this going for years to come. I gave up on this years back when I found the show becoming less funny and more immature based on their age and status. It would be great. I want to see Raj finally find love and get married. And I’d also love to see Sheldon and Amy have a baby. Love the Big Bang. Keep it going for many more years!